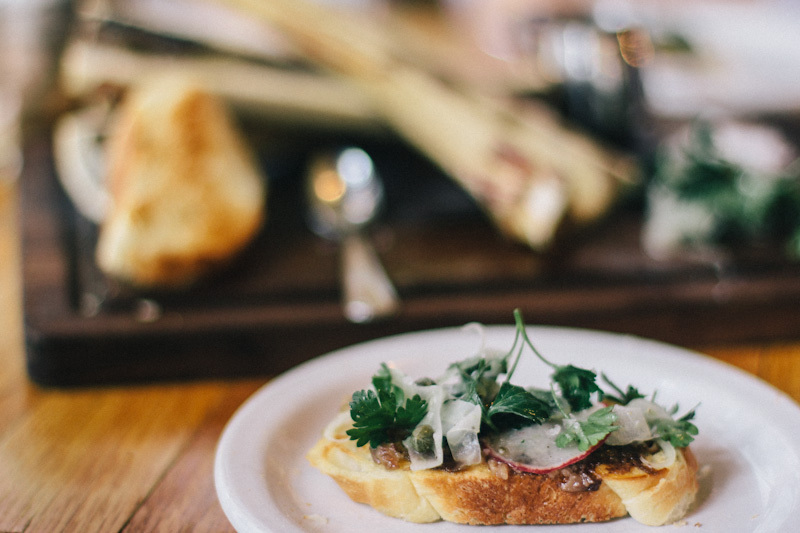 Copper Onion is bringing something new to Salt Lake City. Some of you may not agree. If you disagree, likely you’ve been around food and fine-dining for a long time. You see Copper Onion’s menu and think, “how nice, they’re doing this or that.” Then you taste it, like it and come back again in the near future. 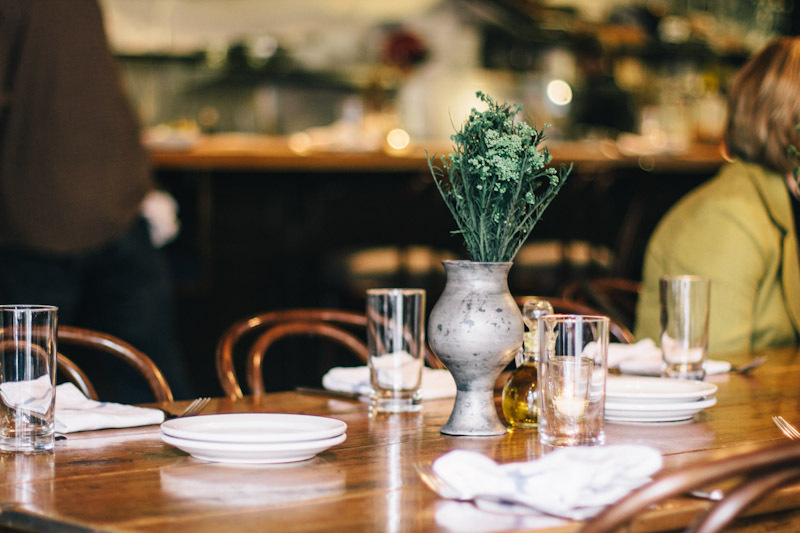 But if you haven’t been around fine dining, you’ve probably still eaten at Copper Onion. It’s drawing the masses right now. And somehow, Copper Onion has the masses eating bone marrow. 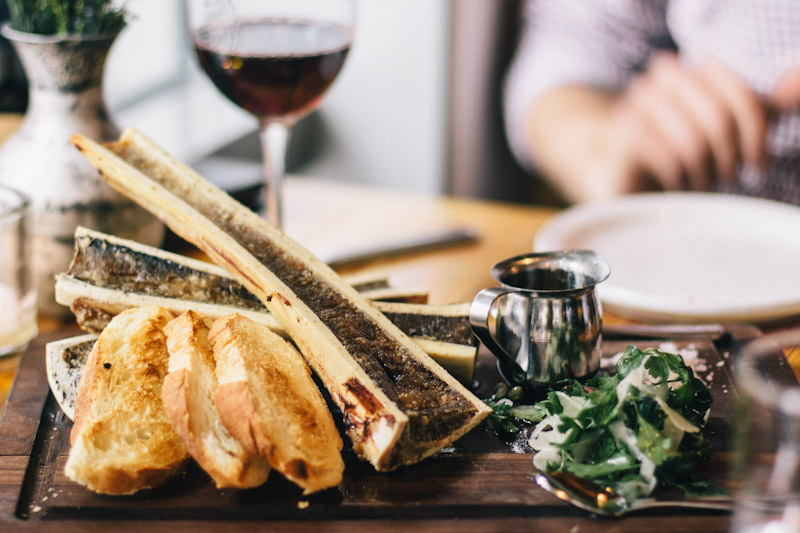 When I asked Mary Malouf from Salt Lake Magazine why she thought Copper Onion deserved best restaurant in Salt Lake City, she pointed out that Salt Lake residents would have never eaten bone marrow. 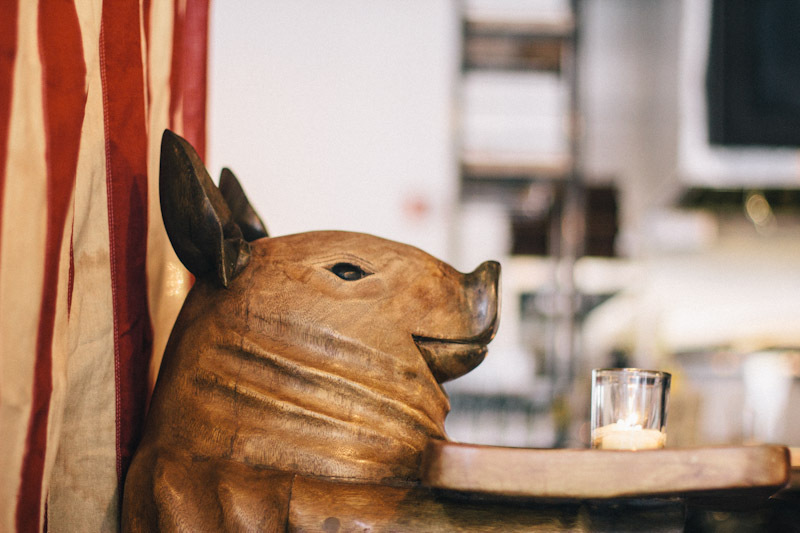 Owner/Chef Ryan Lowder developed a devoted fan base with some somewhat inside the box dishes, then started to turn them on to things once only for the daring dining elite. 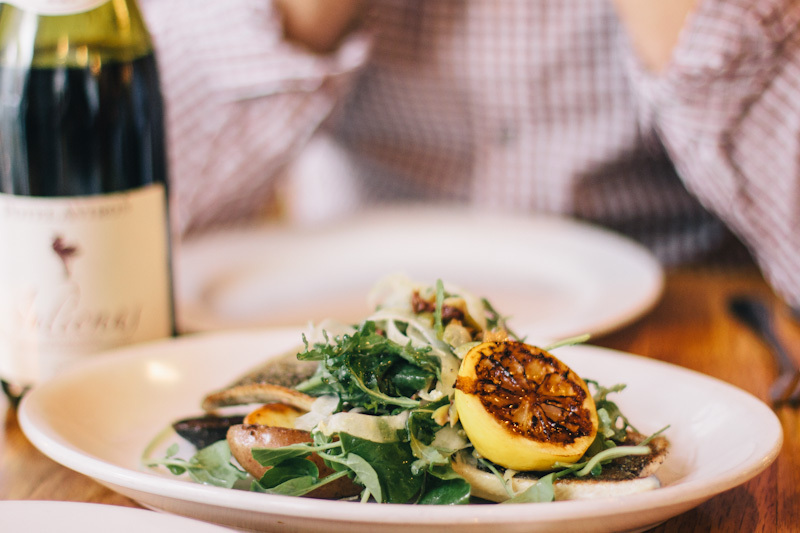 Our server kindly gave us directions on how he thought the marrow was best enjoyed – on a sliced French baguette smooth the marrow on the bread and top with greens provided then sprinkle with a bit of sea salt. They’re also doing wonderful twists on American classics like beef stroganoff. It’s so ridiculously hearty and tasty and the Wagyu Beef melted like butter in the wonderful sauce topped with a creme fraiche and chives. 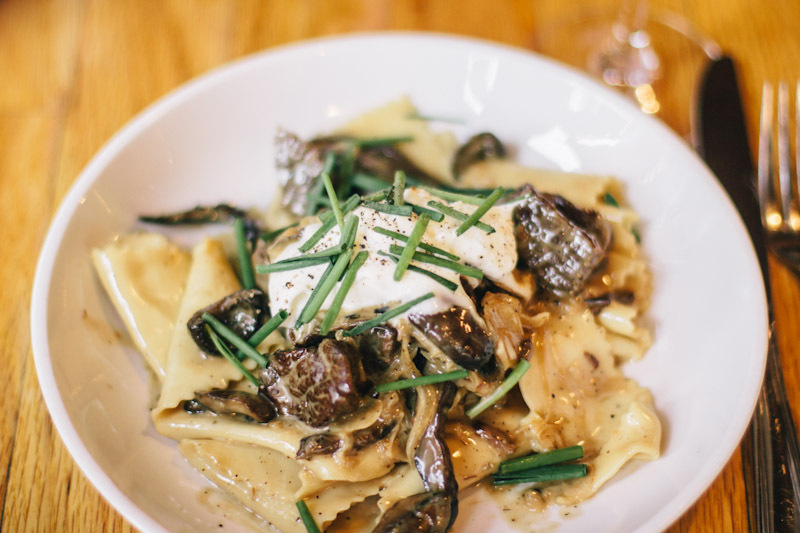 Copper Onion’s vibe is wonderful and their menu will make you come back, not to mention that their wine list is one of the best in town and all of their servers are well-trained to help with pairings. They draw you in with something you recognize then unapologetically push you to try something you might have never tried. 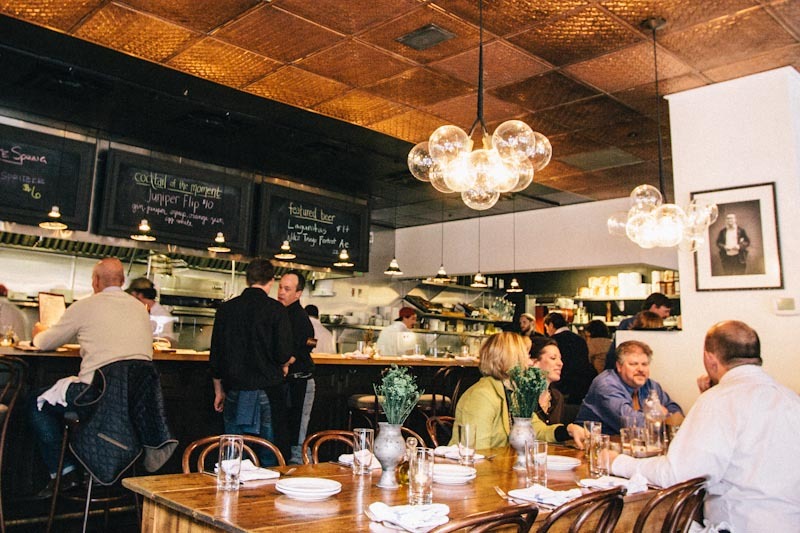 If bone marrow intimidates you, go to Copper Onion and get over it for just one night. Please.